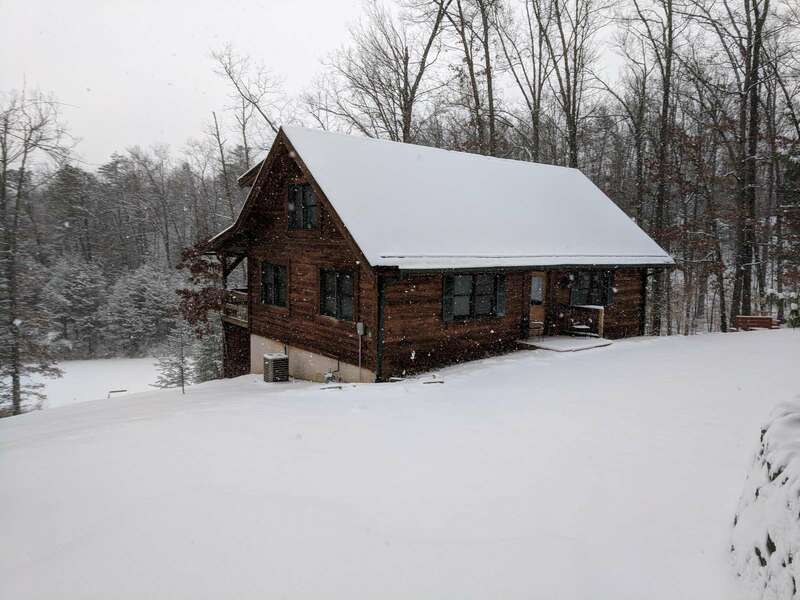 Whippoorwill Log Cabin is a large, inviting 4-BR, 2-BA log cabin deep in the woods overlooking a pond with the scenic cliffline in the background. 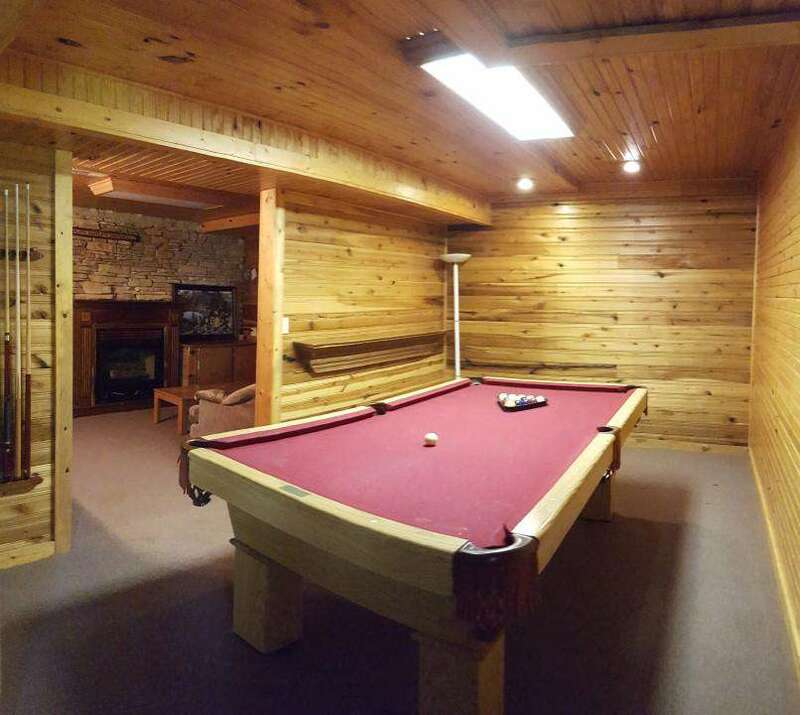 Has pool table, hot tub & internet. 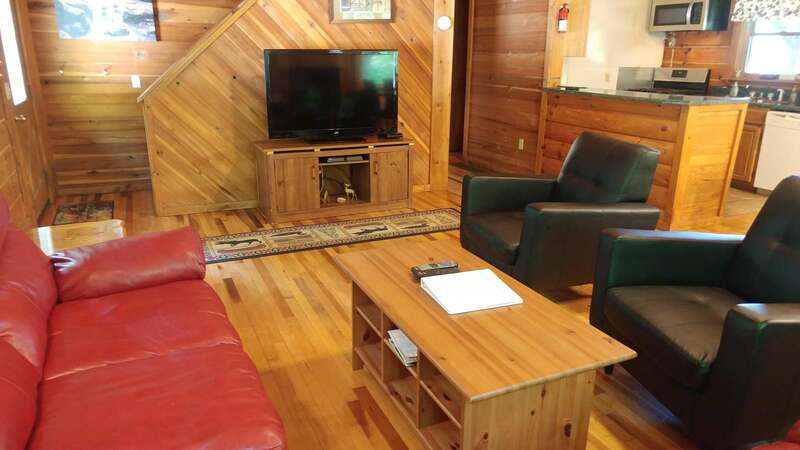 This Cliffview resort log cabin has a high speed Internet service, pool table, hot tub, den with fireplace and bar area, large family room area, 2 TV's (one for movies and one satellite), vcr/dvd/cd player, dishwasher, washer & dryer, and upstairs loft area with 5 twin beds. 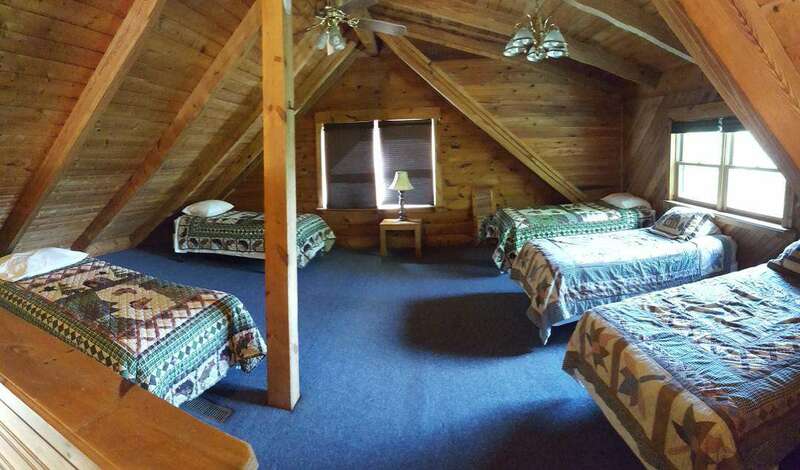 It has 3 private BR, 2 have queen bed, one has full bed the loft BR has 5-twin beds. 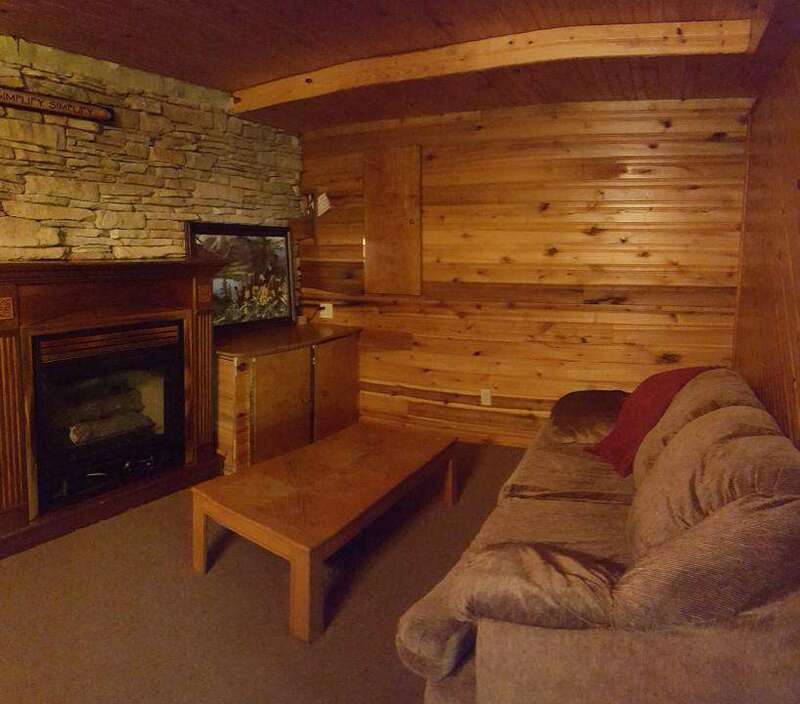 There is also another twin bed in the basement family room area. 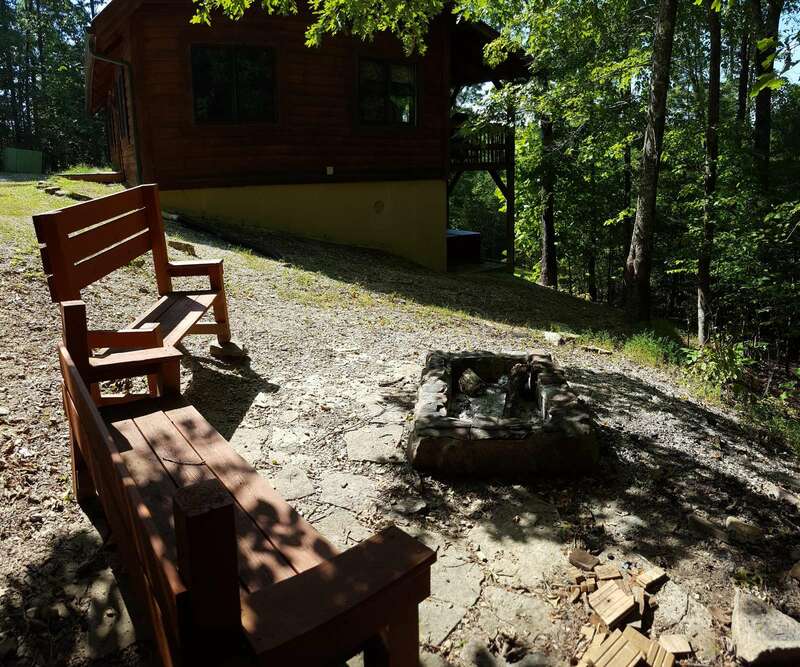 Whippoorwill has a large covered deck off the back of the house with remarkable view overlooking a pond and the cliffline. 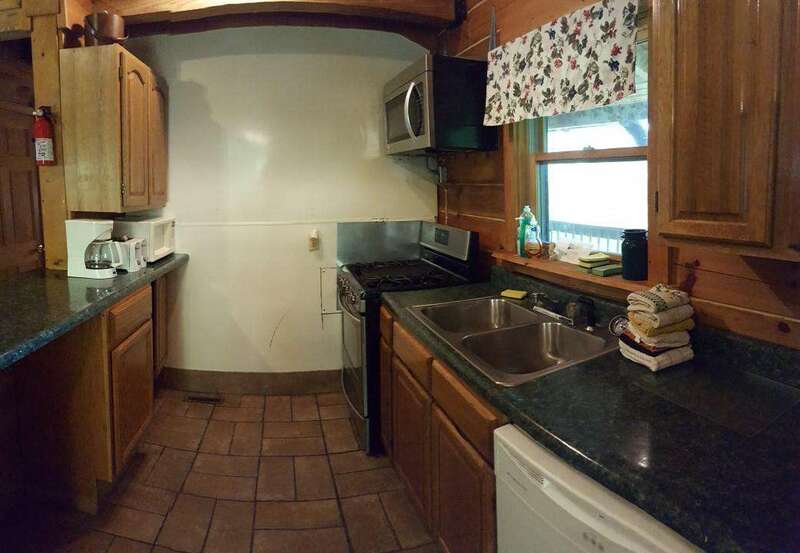 Cabin comes with private dock and canoe. 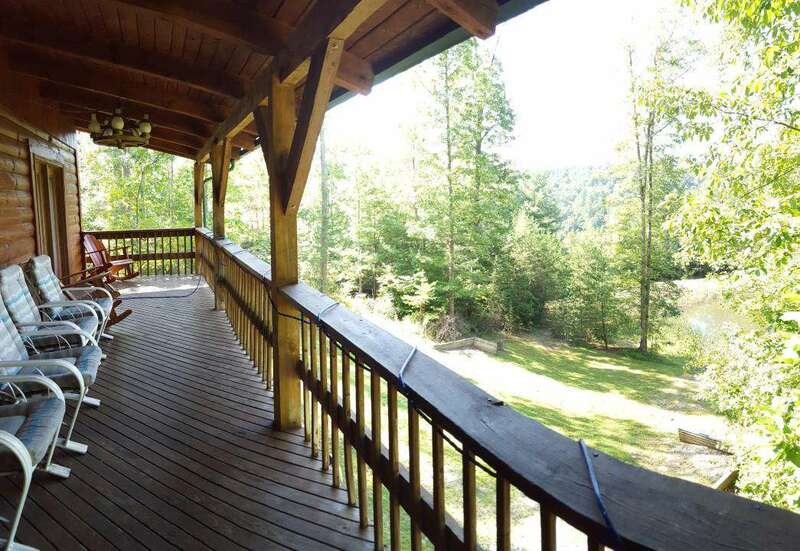 Below is a covered patio with gas & charcoal grill and outdoor firepit area with benches. This large comfortable house with 3 floors is perfectly suited for any gathering, offering lots of space and perfect for long stays. 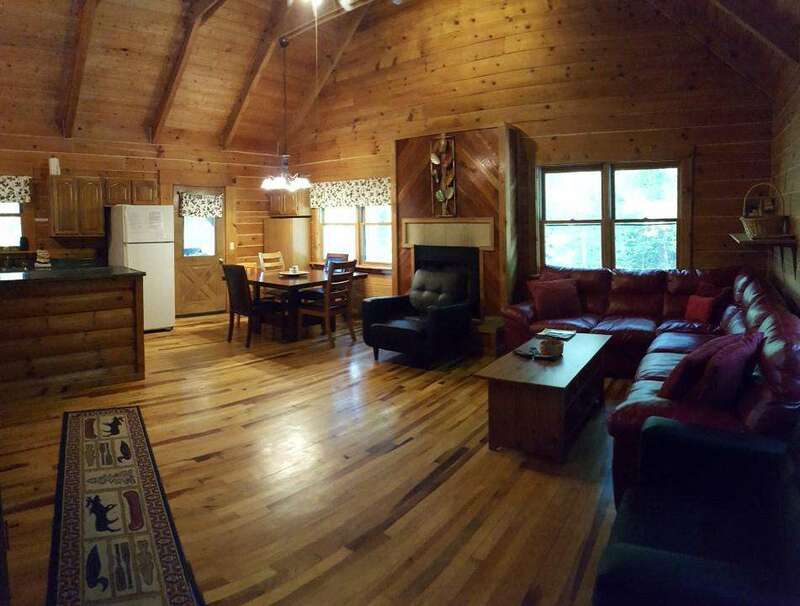 Cabin is built into hillside and much bigger than it looks from photo's. 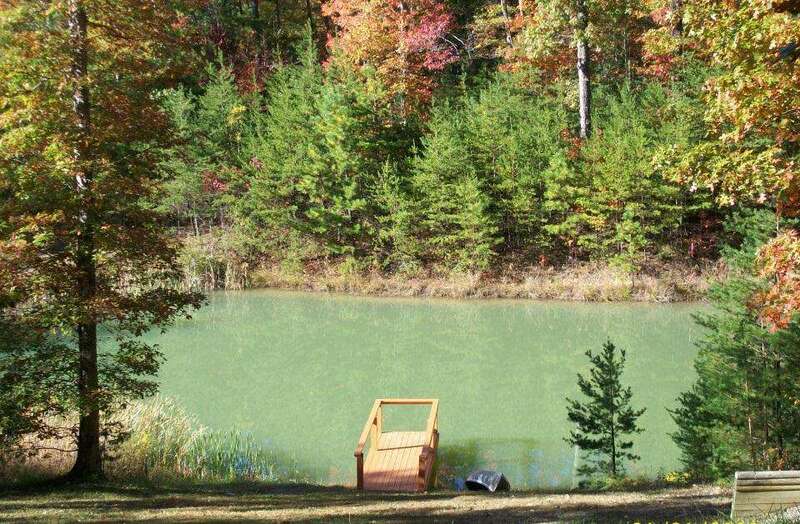 Bring your friends and drive our scenic Red River Gorge Scenic Byway. Gorgeous drive ! 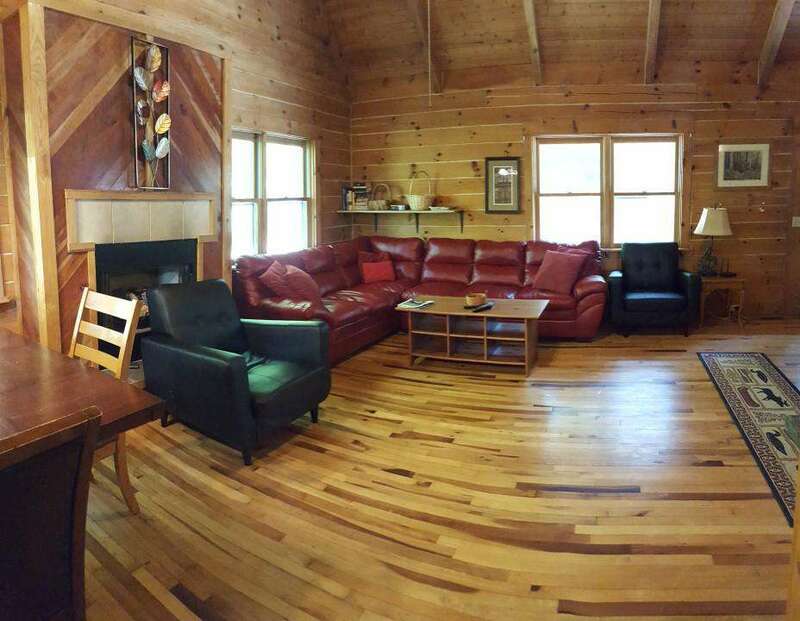 It is secluded, but convenient to some other cabins in the area if looking for large group gatherings. Ron's Big House, Crow's Nest, City Slicker's Hideaway & Crimson Wonder are in nearby vicinity.